Sea, Sand & Sky: Ode to a Great Summer! I can't believe I am writing my farewell to the summer blog already. It feels like we just finished orientation not so long a go. 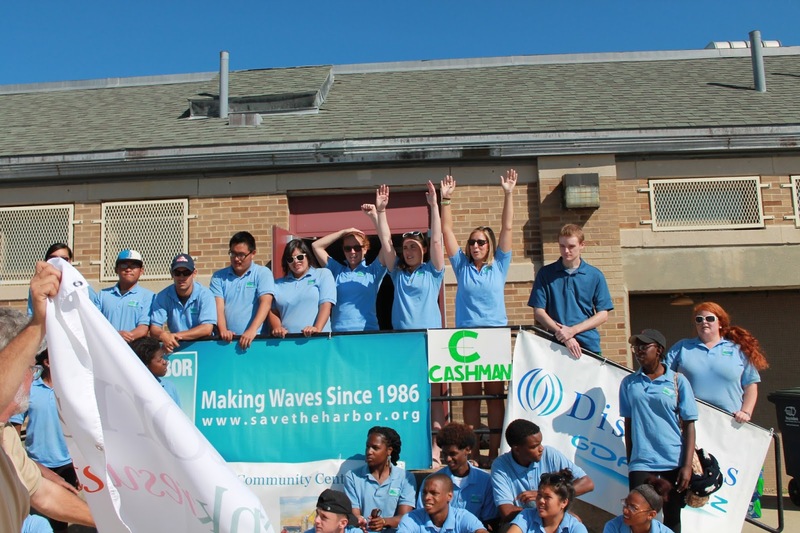 When the summer started at Save the Harbor I didn't know what to expect. I was very excited to see what was in store for this summer. Before this program started I couldn't tell the difference between a male/female crab nor identifying a green crab. I had a lot of firsts this summer. These included first time: to the Harbor Islands, to pick up a lobster trap, to catch a spider crab, and to fish off the Fort Point Channel at the Boston Children's Museum. I had the opportunity to spend my summer on Boston Harbor. Now that's how you spend a summer! By summer's end I learned a lot more than just teaching kids how to kick or throw a ball or throw a frisbee. Along the ride this summer I met so many incredible people. All of the SMEs I worked with this summer were awesome! Not only were they great people but they also gave me lots of laughs along the way. One of my favorite parts of the summer was being able to work with the various JPAs. I am so proud of them. They all come from different backgrounds. I was able to learn from them as well. I wish them all the best this year in the new school year. I also wish well all the JPAs that are off to college. I know they will do great! Now to my favorite times of the summer. 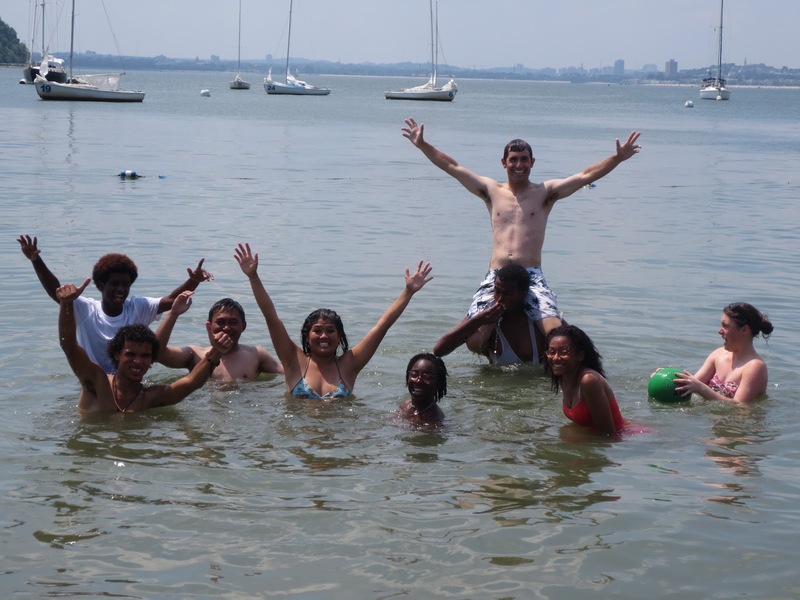 What I enjoyed the most about this summer was having the opportunity to take over 5000 kids out on a boat and spend a day at either Spectacle or Georges Island. I met so many great kids from the various programs throughout the greater Boston area that included our games of kickball with Paige Academy, aka Team Flex, or playing Ultimate Frisbee with the Base Enrichment groups out of Braintree. These are just some of the amazing groups that I was able to meet over the summer. Not only were all the kids great but I had a phenomenal Senior Staff at All Access. Without Carolyn, Thi, and David Coffin this program wouldn't be as awesome as it is! I just want to thank all three of them for all the hard work they did this summer to make sure that All Access was the best it possibly could be. After looking back at all of these great times and events that took place this summer, I can easily say this was an AWESOME SUMMER! 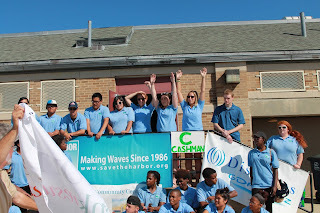 I wish everyone the best and hope to see you next summer at Save the Harbor!